Tonight finds me back on Nevis, my favorite Caribbean island, and I decided to explore a different part of the island at sunset. 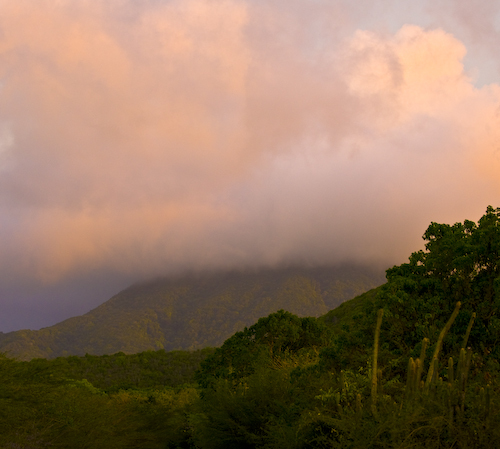 In the 5 months that I have been flying to Nevis, I’ve only seen the top of Nevis Peak once. 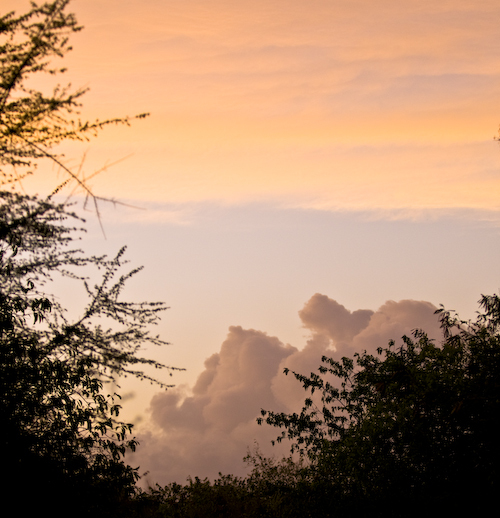 Today she was hiding as usual behind her cloudtop guardians, which made for fantastic photos as the twilight deepened. My old friends the Green Monkeys. They were about 100 yards off and being quite shy, so I wasn’t able to score a nice close-up. I can’t say for sure, but I think that this may have been the same family group that I photographed on my previous visit, since they were in the same location. I stayed for about 20 minutes hoping for another close up in the trees, and they did oblige me by coming quite close, but the thicket we were in was too dense to shoot through. Soon enough, we parted ways and I continued my walk. The foothills of Nevis Peak are quite steep in places. Someday, maybe on a personal visit, I hope to climb the mountain. To my friend Marty: whatever it is that we have to do to get you here, let’s do it! You’ll love this place! I made a roughly 3 mile circuit, and on the road back to the hotel I saw a couple of mongooses! I wasn’t quick enough with the camera to get a clear photo, but it was awesome seeing them. Mongooses were introduced to the island in 1870 to ‘help combat the rodent population’. 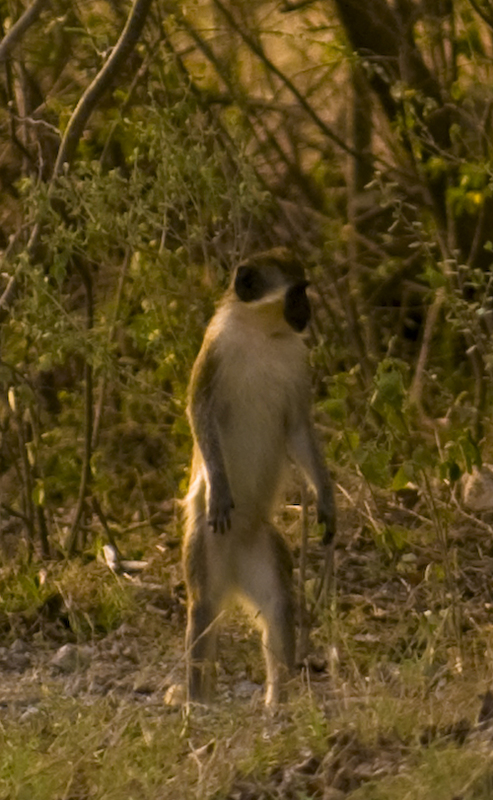 This was my first sighting of wild mongoose, so I was stoked. 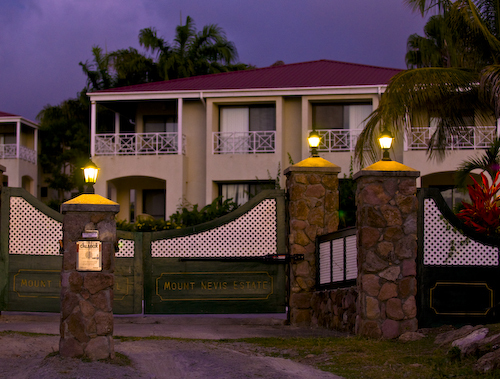 Here is the entrance to our hotel, the Mount Nevis Estate, which I covered in a recent post. I love this place and I highly recommend the resort. For more information, see the hotel website. 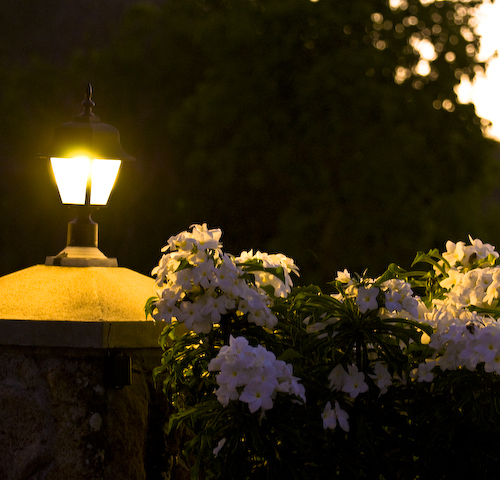 Once inside the gate I walked the grounds, enjoying the beautiful view of St. Kitts across the channel. I bumped into the food and beverage manager and enjoyed a lovely talk, leaving the dining room library with a basket of freshly made pumpkin and banana breads for the morning. 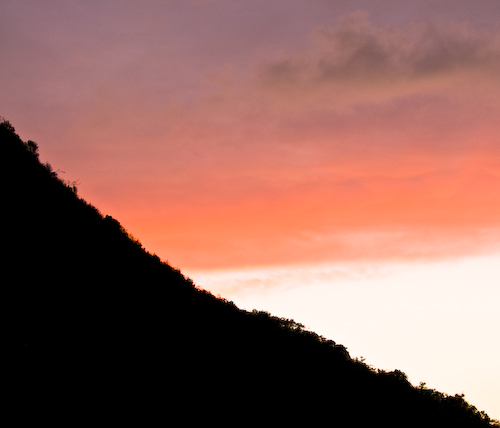 Honestly, if you value serenity and the natural world you’ll love Nevis. I don’t know of a more beautiful spot on earth! ~ by John on May 10, 2008.